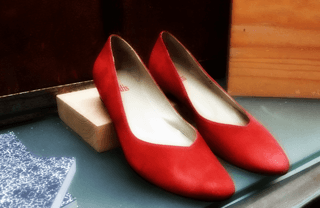 Home » LET’S GO SHOE SHOPPING IN BARCELONA! shoe stores? In our city there are hundreds of stores, but the problem comes when you want to find Spanish shoes, not Italian and… definitely not Chinese! We’ll help you choosing your favorites, from well-known brands to smaller local designers. Despite its name, this is a Spanish shoes brand from Elche, a city near Valencia with a long tradition in shoe-making. Their designs are classic and urban, with a safari touch in their best-seller designs (they compare to Timberland). Their company philosophy is all about being natural, hand-made and sustainable. This brand from Mallorca is probably the most famous Spanish shoe company. They are known for their urban and original designs with cute adornments and some cool asymmetries. You’ll find lots of Camper stores in the city center. What about some espadrilles? This over 50 years old shop couldn’t be missing in our list of best Barcelona shoe stores. You won’t believe the amount and variety of this traditional summer shoes they have here! Famous clients have been Katherine Zeta-Jones, Diandra Douglas (who almost forgot her Manolo Blahnick there! ), Jack Nicholson, Pope Jean Paul II, Ralph Lauren, Jean Paul Gaultier and Penelope Cruz, amongst other. My favorite shoe shop in the Born district! This brand was actually created in this precise neighborhood, and now they have expanded to other shopping districts in town. Romantic hand-made Spanish shoes with unique designs. Natural inspirations, original cuts and gorgeous colors. This is not just one of the best Barcelona shoe stores, but also one of the best shoe-makers in town. Men will adore this hand-crafted designs, both classic and elegant. By the way, he is doing shoes for ladies now too! I hope my list has convinced you to come shoe shopping in Barcelona! You can also go to department stores and look for designer shoes from Spain such as Naguisa, Deux Souliers, De Ubieta and About Arianne – they newest must-have for Spanish shoes! Avarcas are the Spanish shoes from the Menorca island. Traditional sandals, so comfortable that in the summer you won’t want to wear anything else! This company has been making them since 1985 and has a shop near Santa Maria del Mar church. So what about you? 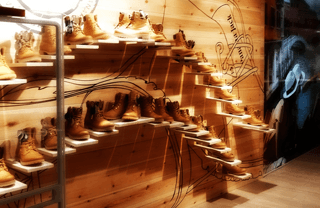 Do you agree with our selection of best Barcelona shoe stores? Tell us which is your favorite on a comment below!